Adaptive link annotation is a popular adaptive navigation support technology. Empirical studies of adaptive annotation in the educational context have demonstrated that it can help students to acquire knowledge faster, improve learning outcome, reduce navigation overhead, and encourage non-sequential navigation. In this paper we present our study of a rather unknown effect of adaptive annotation, its ability to significantly increase student motivation to work with non-mandatory educational content. 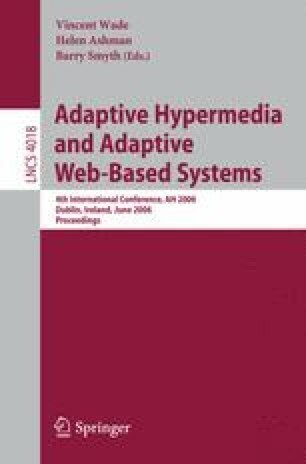 We explored this effect and confirmed its significance in the context of two different adaptive hypermedia systems. The paper presents and discusses the results of our work.